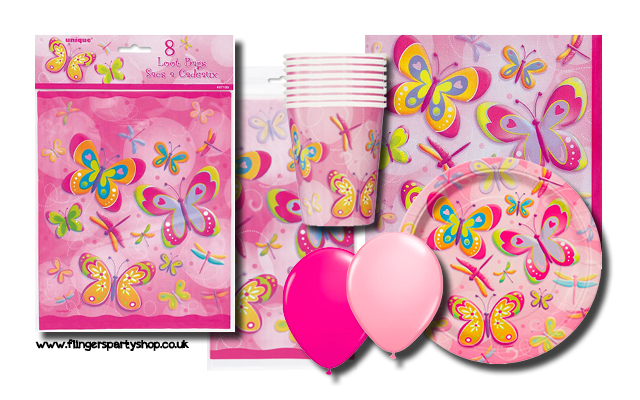 After we brought you our favourite 5 party themes for boys, we are now bringing you our favourite party tableware for girls. Everything is available to buy on our website or in our shop and prices for every range start at just 99p. Click on the links to go through to our website and we guarantee you'll also be tempted by some of our lovely decorations too! We adore this 'Sweet Treats' tableware set. If you're little girl has a sweet tooth and loves cupcakes and the colour pink, this theme is ideal. The cute polka dot design makes it edgy, fun and colourful. Available in this set is loot bags, napkins, plates, cups, tablecovers and even a cupcake stand. 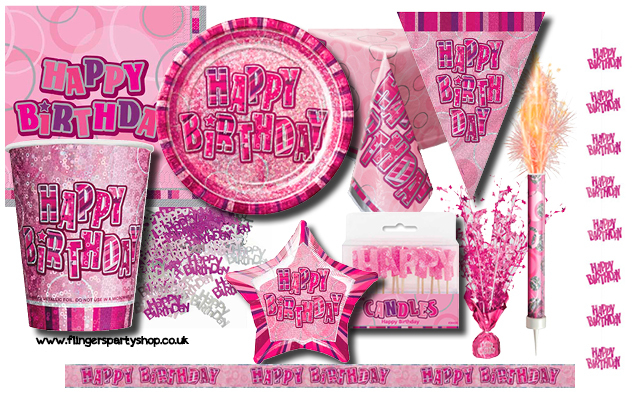 Plus we have loads of decorations that will go well with this set including cupcake balloons and happy birthday banners. All you need now is to make some cupcakes to match... It's time to get baking! 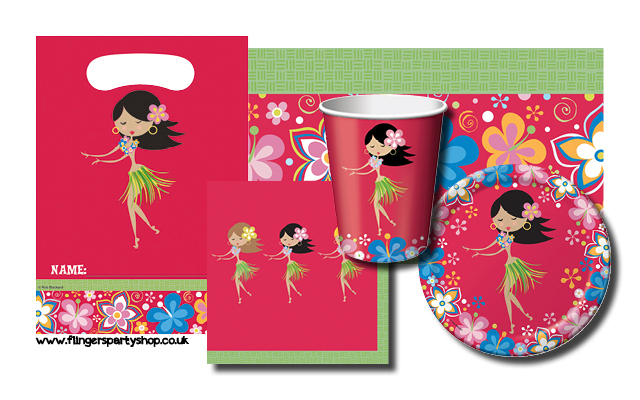 This 'Hula Girl' set is very bright and cheerful and ideal for children's summer birthday parties. The print shows a girl with a grass skirt on and lots of hibiscus flowers. Available in this Hawaiian tableware range are loot bags, tablecovers, napkins, cups and plates. If you take a look at all the Hawaiian decorations and fancy dress we have, you'll instantly be persuaded to turn your garden into a Hawaiian beach for your daughter's party! Most little girls dream of being a princess so why not give them a pretty pink party and make her feel like a princess? This tableware set is extremely cute and girly and will look great amongst some of our other accessories and decorations such as the tiara piñata, pink balloons and a Disney Princess cardboard cutout. Keep the theme delicate with some pink paper decorations too. 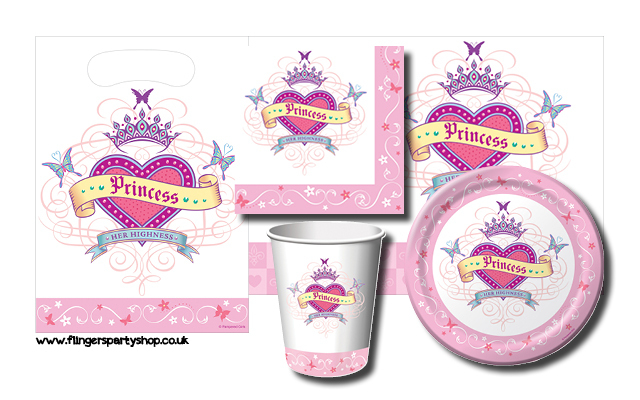 Available in this set are party bags, napkins, cups, plates and tablecovers. This range is so big that you won't need to look for anything extra! Everything is a bright pink with sparkles and stripes (plus it's all available in blue or black too). Choose this simple design to make your party organising easy as everything will match. Available in this pretty pink sparkly set are tablecovers, plates, cups, napkins, confetti, bunting, banners, balloons, candles, centrepieces and more. This elegant butterfly tableware set is bright and bold; perfect for any little wildlife lover. We recommend you add some pink latex balloons and definitely check out our other party decorations such as the butterfly piñata which you can fill with yummy surprises. 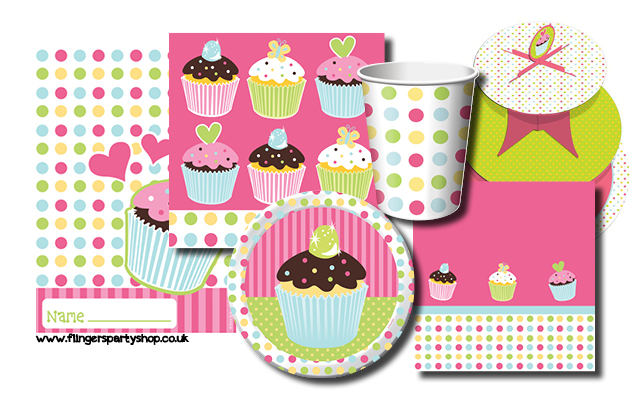 Available in this print are party bags, cups, tablecovers, plates and napkins. 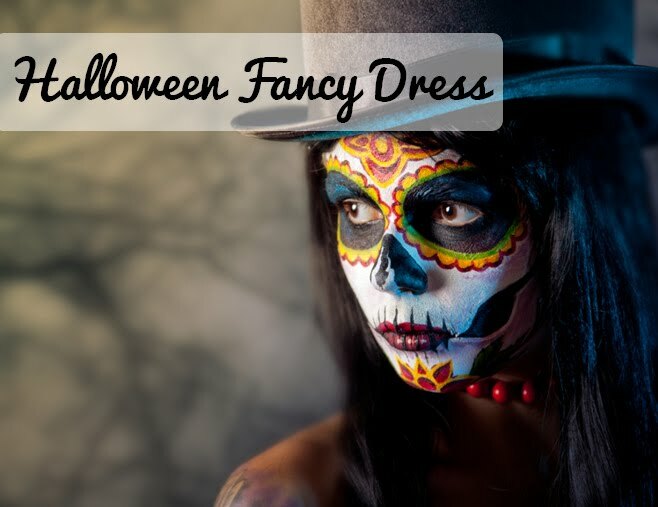 Why not take a look at all our children's party themes?